One side has a grooved profile, whilst the other side has a plain profile. 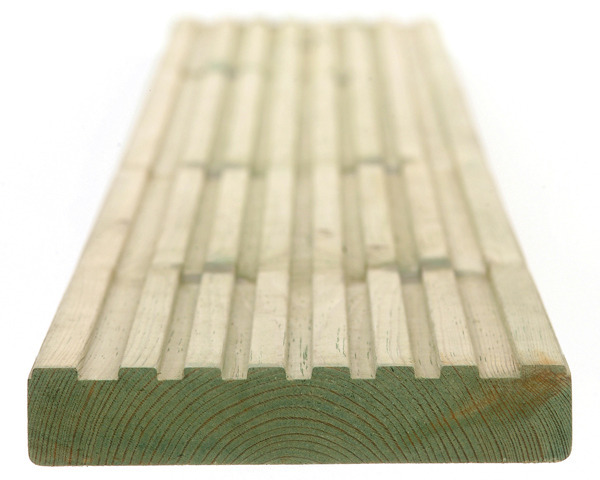 Decking fixtures available, screws etc. Sizes - Length 4.2 metres (14ft) approx. Cross section 144mm x 27mm (finished). For the availability of other lengths, please contact your nearest branch.